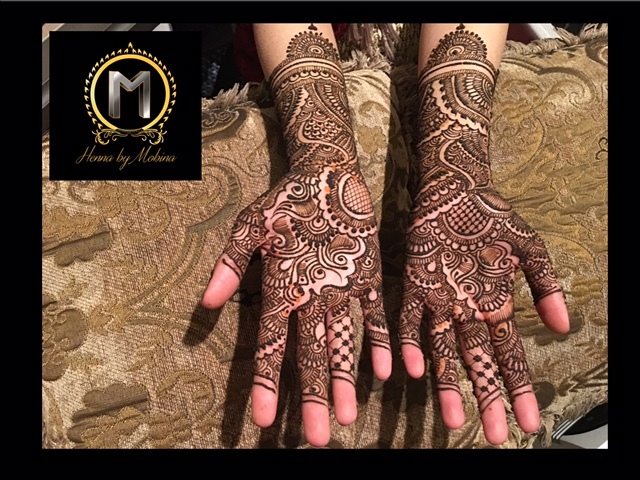 Henna is more than a tradition and that is the reason every woman still love to have henna in their palms in the eve before their marriage or any other auspicious festival. Our motive is to take you a little further from the tradition where you can step apart from the crowd with our diverse Henna designs. That doesn’t stop there. Our henna creations on your beautiful palms can also be infused with jewels, stones, flowers, glitter & many more lovable elements. Next time when you hide your face, your significant other will be mesmerized by the beauty of your hands enrobed with beautiful mehndi design. Wonderful moments will knock the doors of your heart when a little girl will admire and want to look like you just so that she can have the same beautiful design in her hand. That is the magic that Mobina can transfer into your palm. It is a matter of time when you will realise the importance of your hand in the contribution to your overall beauty. Unlike Tattoo, no harmful chemicals are infused into your skin when applying Henna. 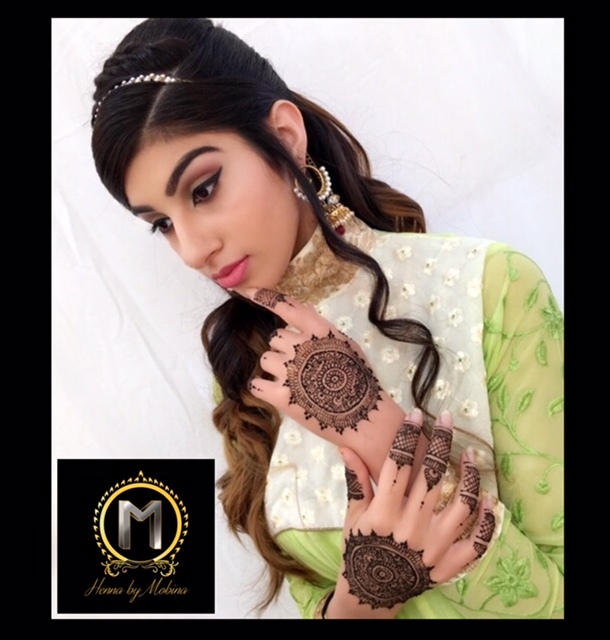 Also the tradition of Henna can make the aura around you look royal to make you look like a queen.